One of the stand-outs from the 2017 line, the Heathered Fleece is the ultimate layer for cooler days. The soft, brushed interior traps body heat while the overall breathability of the garment keeps you comfortable. 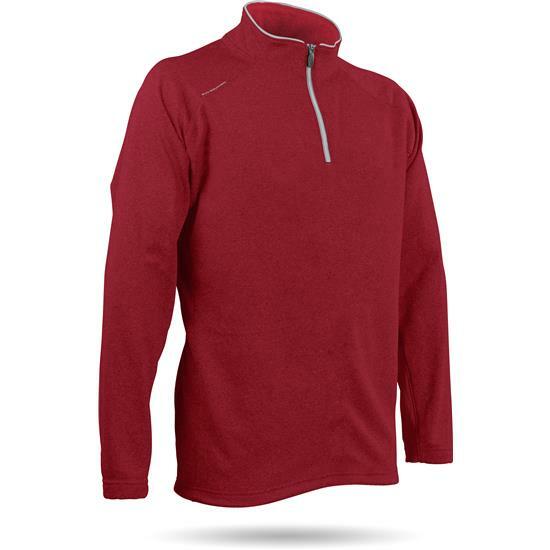 Its quiet comfort and 4-way stretch make the Heathered Fleece a must-have for an active lifestyle. You are about to post a review for Sun Mountain Men's Heathered Fleece Pullover based on your knowledge of its playability. This review will show up under all variations of Sun Mountain Men's Heathered Fleece Pullover, including new, personalized, and custom logo.